Emergent Writing- What does it look like? - All Things Special Ed. Emergent Writing- What does it look like? Hello! I am back to share more with you on emergent writing and what it looks like when we are teaching and working with students. 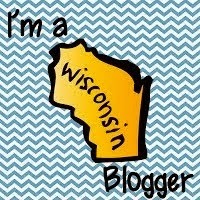 You can read a previous post on emergent writing here: Emergent Writing and Conventional Writing. Emergent writing looks like scribbling with the alphabet, using symbols, words and drawings to write. Here are some ideas for you to use when you are teaching emergent writers for Before/During/After when you are teaching. Before: Before the student begins writing (this could be an alternative pencil if your student can not hold a pencil- think iPad, eye gaze tools) set a purpose for scribbling. This helps support students in topic-setting. You will want to know what your students are writing about, if not you will not have any context to go off of. This will help you make guesses about possible meaning to their writing. Model scribbling for the student. Use the student's "pencil" and write on a similar topic but not the same so they cannot copy. Don't forget to read what you wrote and model with lots of think alouds. You can also include peers in this. During: During writing (scribbling stage) give students lots of positive feedback. Help them to keep going and to produce enough text so you can give them feedback. Be careful for prompt dependency, use only when necessary (ie when you need more letters to guess their writing!) 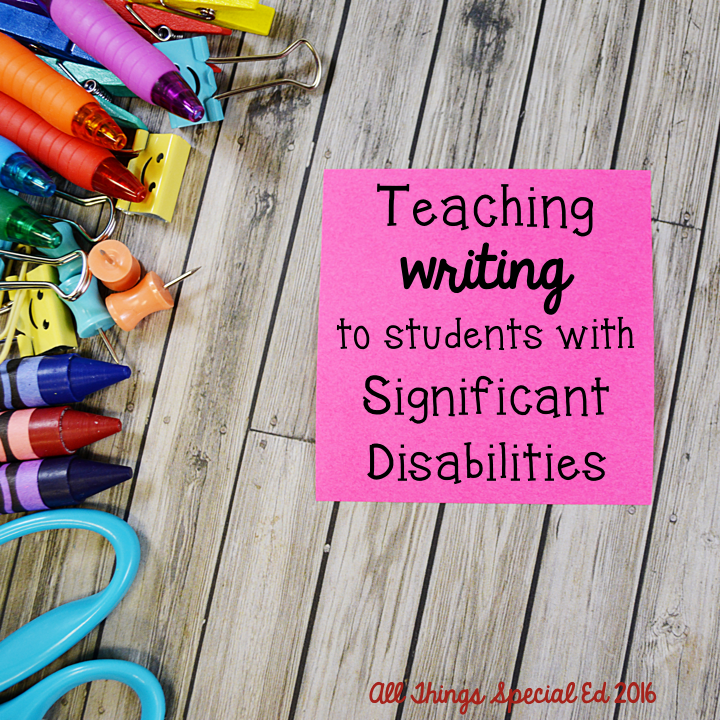 For typically developing children we naturally give them feedback on their writing and we need to do this with all students, including those with significant disabilities. This gives meaning to the students' random attempts and build their understanding of their actions. Help make those links between the students experience and their writing. Wow you were really paying attention. This is great for building confidence and doesn't teach them how to think and write. I see some letters in your name, let's find them. Can you point to one of your letters? Let's see if it is in someone's name. You have lot's of "t"s in your writing, let's find all of them. Let's see if we can writing some more words with some of you letters. Fun Fact: Did you know that "good" 1st grade teachers have more than 1500 books in their classroom libraries? So what? Well our older students need engaging, age-respectful texts as well!! Information provided by Dr. Caroline Musselwhite's workshop on "Emergent Balanced Literacy for Students with Significant Disabilities"
Check out my store on TPT and follow me at: All Things Special Ed.